This is such a pretty idea! 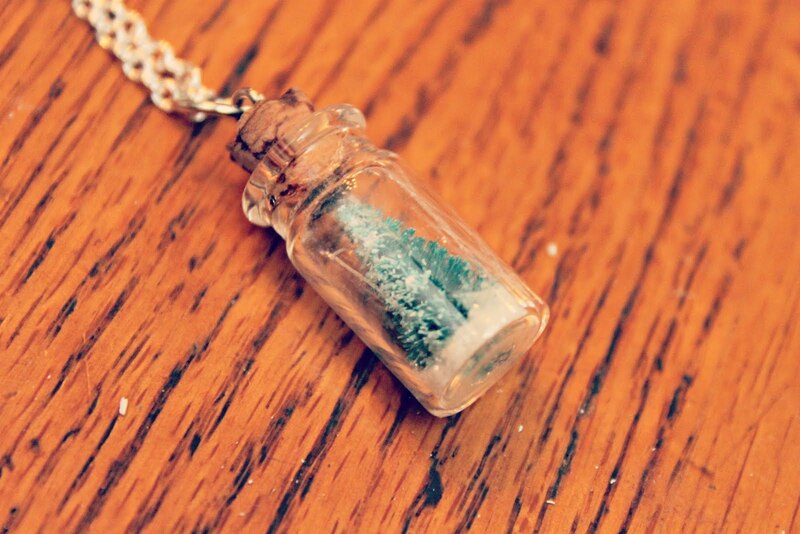 I'd imagine you could morph it into "fairy dust" necklaces that would make little girls squeal in delight too. Thanks for sharing, ladies! Oh how fun!! I think I just might NEED one of these! Thanks for sharing! My question too! ^^^ I would Love to make these for my nieces! You can buy them in bulk or single cheaply from eBay all different shapes and sizes. ok this is a must do. man am i glad to have found your blog! :) newest GFC. :) hope you visit me too! This is AWESOME! 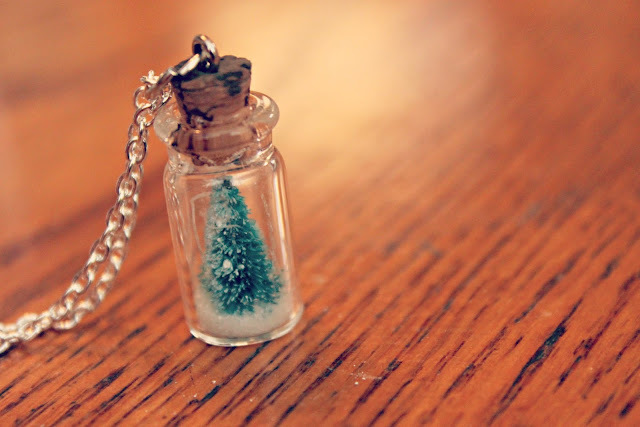 I am pinning right now and you gained a new follower :) Where did you get the tiny tree? Oh my goodness this is the cutest thing ever!! I love it! I'm going to have to hunt up a glass bottle pendant! SO adorable!!! Newest follower here! EEEP! This is so cute!! C'est mignon!!! I love that! That the kind of craft I can do with the toddler! It is adorable. 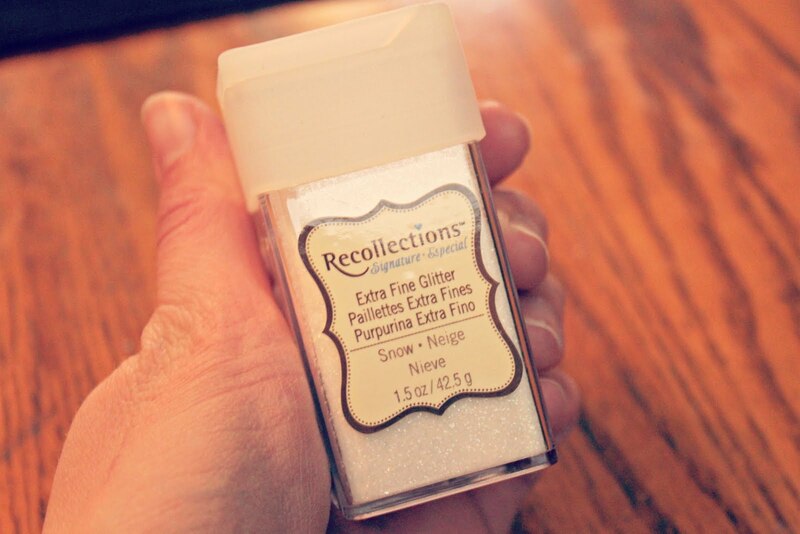 My granddaughter is obsessed with snow globes and this would be a perfect stocking stuffer. Darling! Saw this on Whipperberry and came by for a closer look. I think I need one of these! 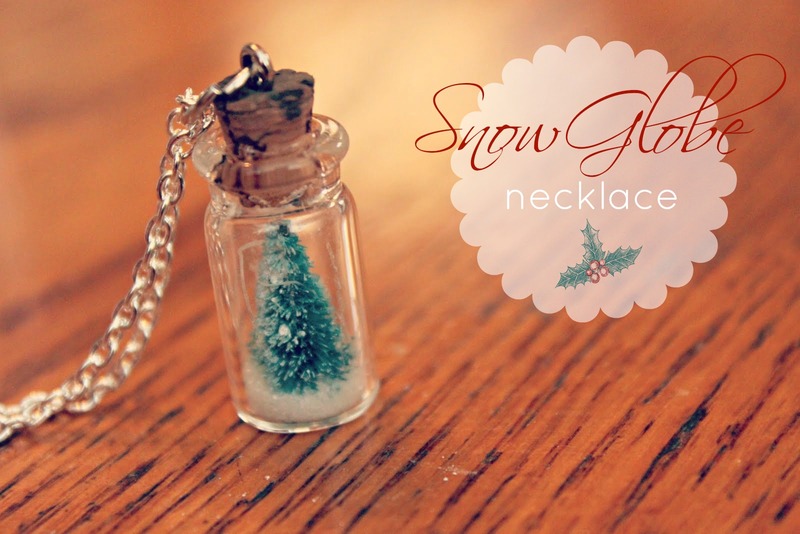 I love this - I need some crafts to make with my kiddos over the holidays - this is perfect! This is adorable... so simple and so cute. Thanks for sharing. What a cute idea!! My mom loves snow globes. She can't walk by them in the store without flipping over a few. 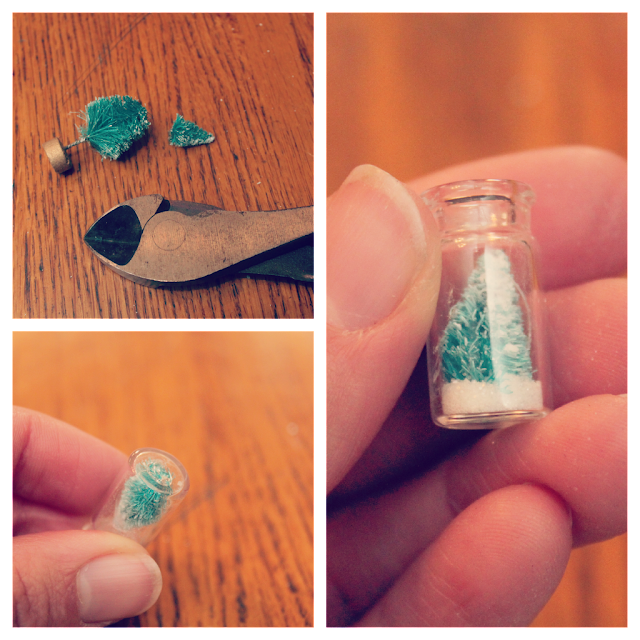 I just happened to have some tiny bottles that I could use to make one of these. FYI for anyone looking for the glass bottles you can get really good deals on ebay. I have some tiny ones to make necklaces and some a little bigger (about twice the size of yours) that I am making Christmas ornaments out of. I am filling them with dandelion 'wishes', attaching an eye screw to the top and hanging a little silver tag around the neck that says wish. I am making these as ornaments for a few people, but I am using one of the tiny bottles to make a necklace for myself. I got all the bottles in bulk so I really needed more ideas of what I can do with the extras. I think I might make a couple with pixie dust too. If anyone lives near Tigard, Oregon let me know and I will give you a bottle! if only this post wasn't 4 years old... i'll check e-bay. I'm in hillsboro. I wanted to let you know that I featured this today in my "What I Bookmarked This Week" post - stop by and see! 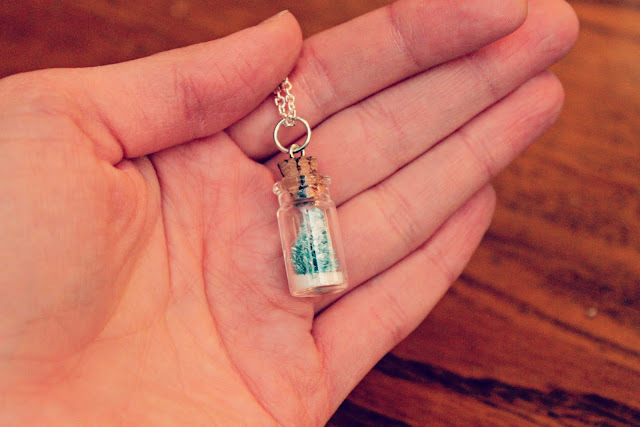 How did you attach the jump ring to the glass jar pendant? Where did you get the blue mini tree? And how tall is it before you cut it? Soooooooo cute! thanks for sharing! my husband is diabetic and he uses insulin the bottles look like they would work perfect, what do you think? Just curious if anyone knows where to buy other miniatures like Santa, snow men, or other tiny items to put inside? I had a hard time using glue so i used craft putty, made it much easier for me. they came out really cute thanks for the idea!